The renowned “Rolls Royce” brand introduced a new concept of a luxurious yacht, called “Crystal Blue”, a hybrid LNG / battery powered vessel, which features high-tech digital, an auxiliary remote control boat and LNG supplies. 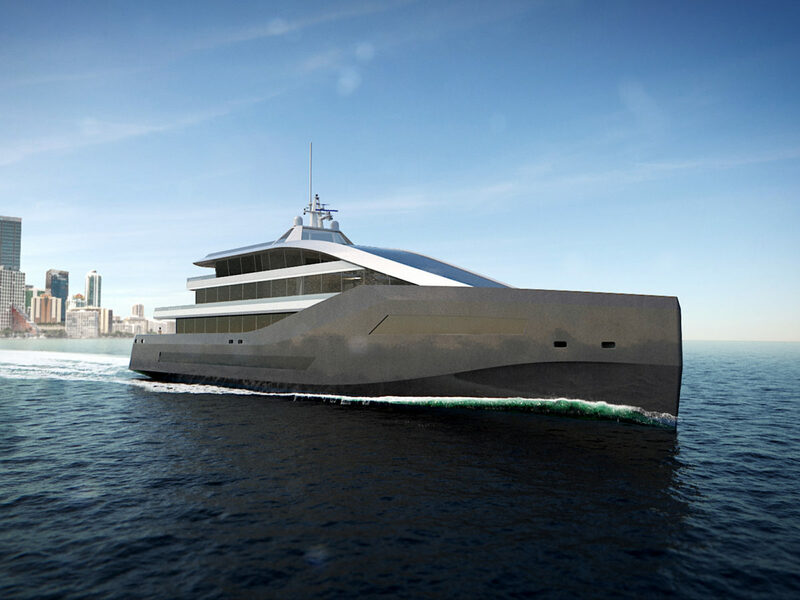 This ship was presented on November 13, next to its auxiliary ship Blue Shadow at the international meeting Global Superyacht Forum, imposing itself as a new megayacht design concept, optimizing the superstructure to increase the level of comfort and use of passengers. Crystal Blue features the Rolls Royce SAVe-CUBE SAVe-CUBE hybrid LNG / battery configuration consisting of two 16V4000 MTU M65-N LNG fuel generators operating in parallel with the battery bank to provide 1 MWh without the need for a generator during the stay in port. Azipull carbon propellers provide a maximum service speed of 20 knots. The Crystal Blue has tanks designed to sail 3,000 nautical miles without refueling, and with the additional capacity of the auxiliary boat it increases the autonomy to 4,400 miles.